Factor 10 took Lil’ Bit from an idea to reality. From start to finish, prototype to manufacturing, we built more than a product—we built a business designed to last. It all begins with a napkin sketch, a conversation, or sometimes literally a dream. But what comes after the initial inspiration?  From concept generation to design for manufacture, prototyping to mass production, Factor 10 takes you from start to finish. Our experienced team helps major corporations and independent inventors navigate through every stage of the product development process.